The issue was closed with, so seems no fix will happen. 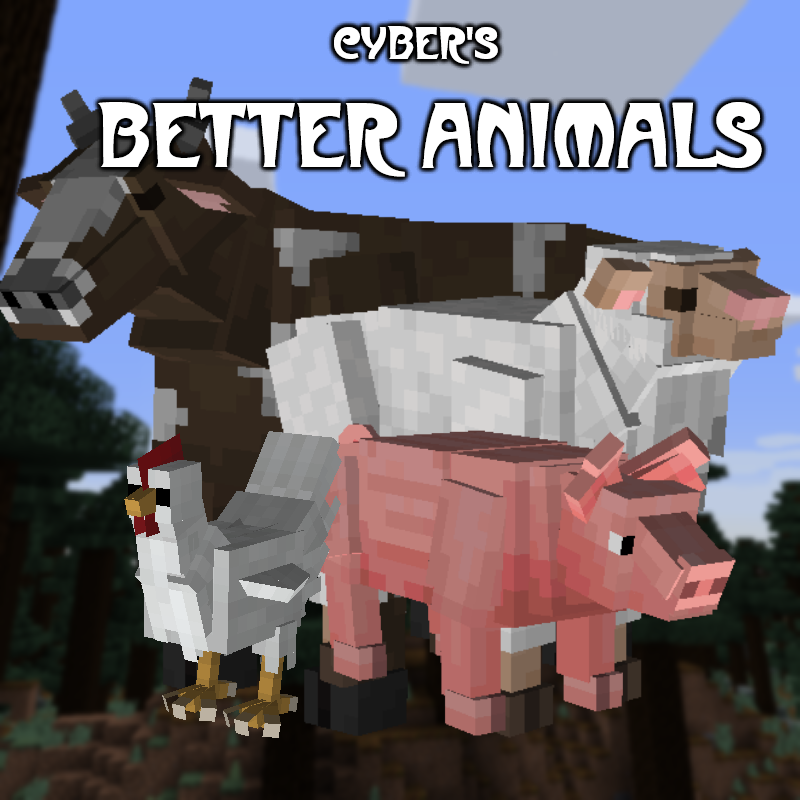 Was told to "render animals the vanilla way"
Obviously, I can't expect them to be compatible with every mod existing seeing as they're the largest mod on Curse right now. Thankyou for the new models! What about Llamas, Ocelots, Parrots and Squids? Yep, they will all come eventually. I actually have an updated squid model made, as well as a parrot one but I need to redo it. So when are the newer models going to be released? I'm just wondering because I've been using this mod for a while and I've been looking forward to seeing the updated models. I'll be looking forward to the next update and goodluck with what you're doing irl. Holy f*ck! I've been at school so I didn't see this, I'm downloading it right away! It's good for version 2.1 to make cave spiders's model small than normal spiders, but cave spiders's model is show underground, it's hit box is on the ground. It's should be a bug. any chance of updating 1.10.2? i don't mind using older version. Very nice models! Have you thought about reworking this into a resource pack instead? Via the custom entity models (cem) feature Optifine provides it would be possible. Since this is a very close to vanilla mod more people might want to use it then as it would no longer require Forge (but would still be compatible with it). This might also help with the performance. Possibly, but I think replacing mob models requires the use of Optifine currently, which doesn't play too nice with mods usually. Also I've never tried to do resource pack models, if it requires JSON for the mobs too, then I probably can't do it, as my skill with JSON is limited to say the least. There is another problem. It's only spawn grow up chickens by throwing eggs, no little chickens. Knows, soon the mod itself will get a total re-write, so a lot of these little bugs that keep cropping up should be fixed.